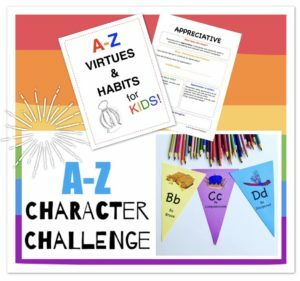 FREE A-Z Virtues & Habits for Kids! – Let's Learn Kids! FREE A-Z Virtues & Habits for Kids! GET YOUR A-Z VIRTUES & HABITS PACKAGE TODAY! 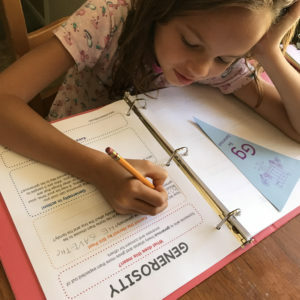 As a homeschooling mom of four children, I understand how the potential within the arena of learning can ignite us with exhilaration, and yet somewhere along the journey we hit challenges posed by ignorance of necessary virtues and poor habits. It’s not just about WHAT they’ll be when they grow up but HOW they’ll be… Theodore Roosevelt said, “To educate a man in mind and not in morals is to educate a menace to society.” Well, that sums it up! Virtues and good habits are vital for learning and living. 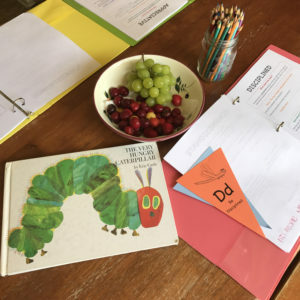 I would love to share with you the materials I am using with my children in providing a healthy and strong foundation on which learning and living should be based. Kids will learn 26 virtues and habits through an alphabetical A-Z progression. They will start with a great book, learn the meaning of each virtue and habit, engage in a few relevant questions and challenges to put these virtues and habits into action in their lives, and color a flag for a fun visual reminder. Get your fun, free A-Z Virtues and Habits Package by signing up below!